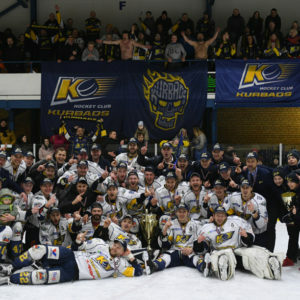 On Saturday, Kurbads team ensured their second title in two years, winning the Optibet hockey league and defending their title. 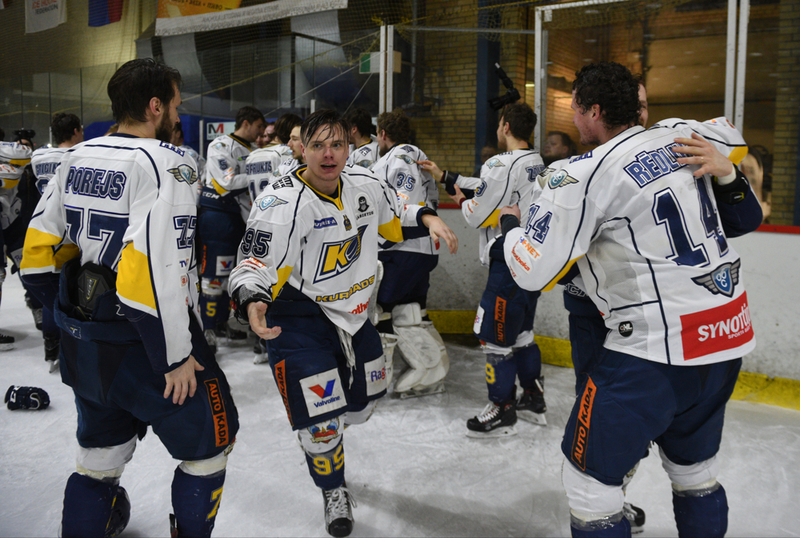 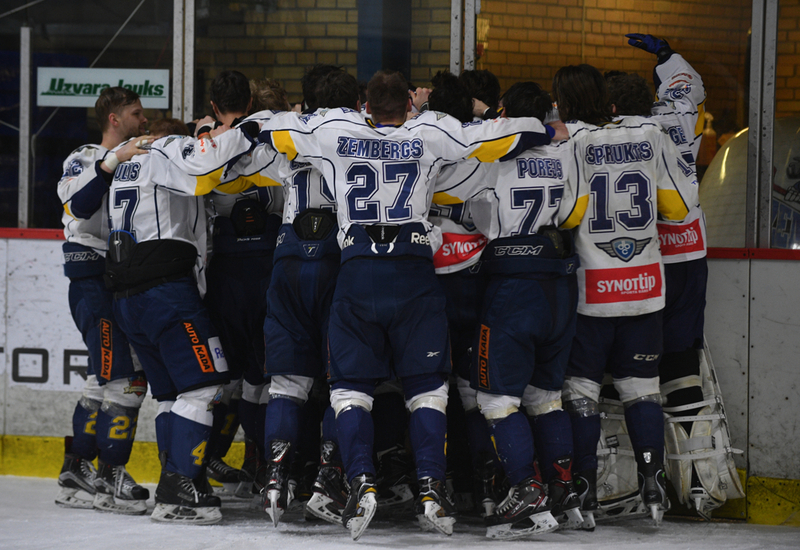 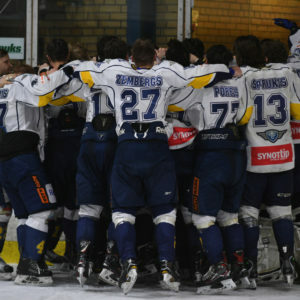 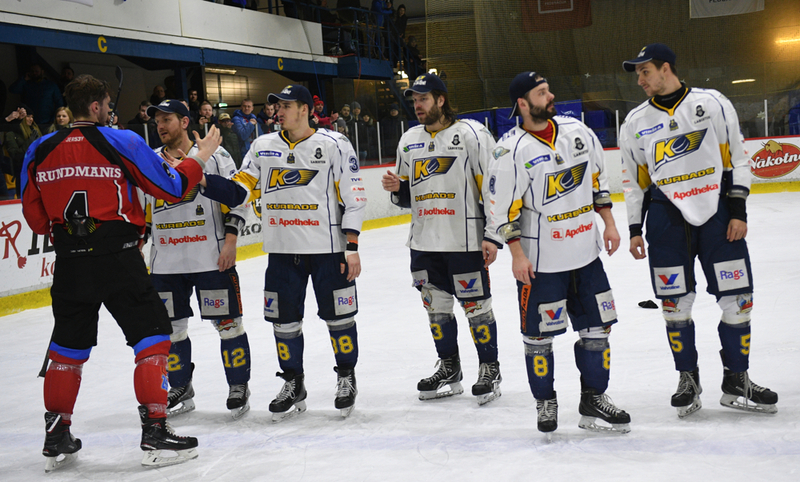 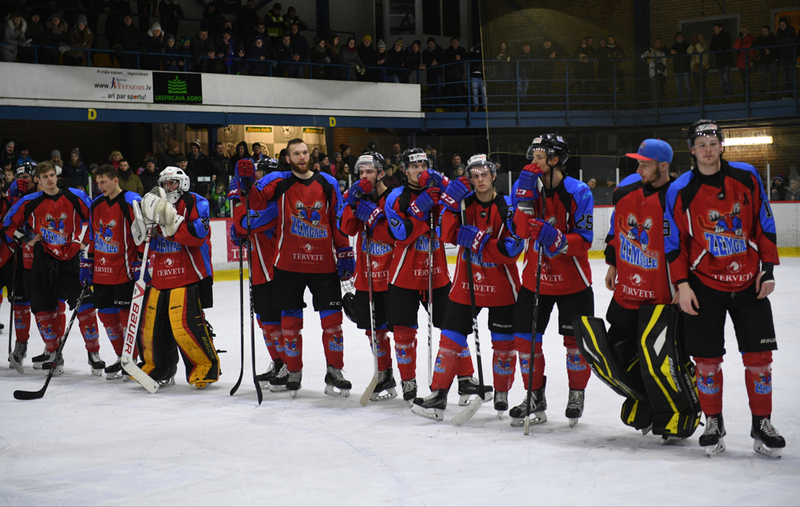 On the fourth game of the finals Kurbads managed to beat Zemgale/LLU by 1:0 (0:0, 1:0, 0:0) in their home, winning the series 4-0. 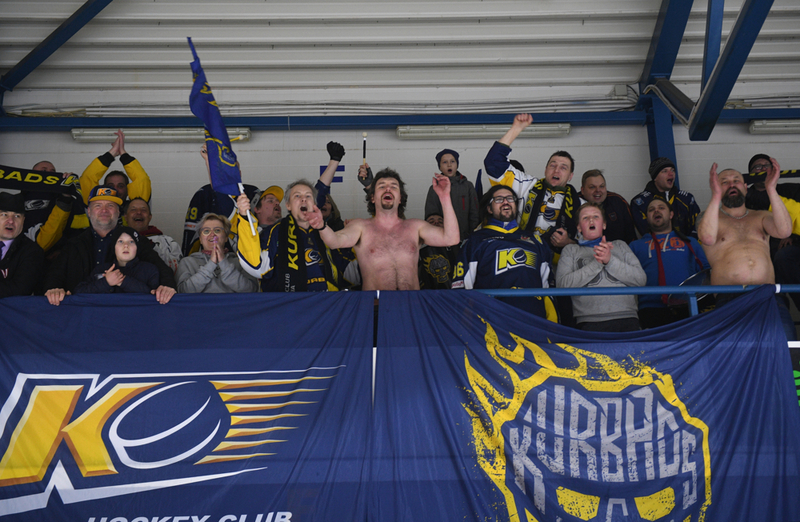 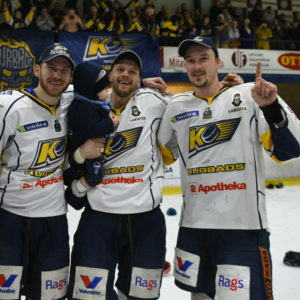 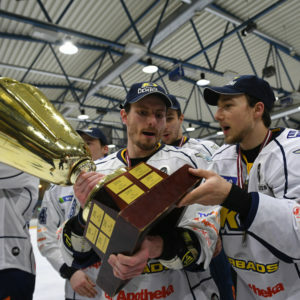 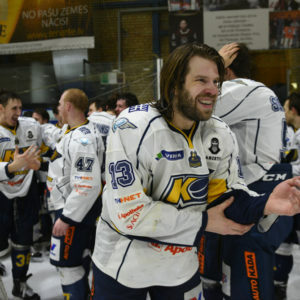 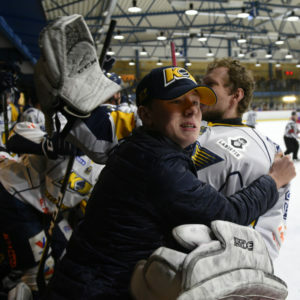 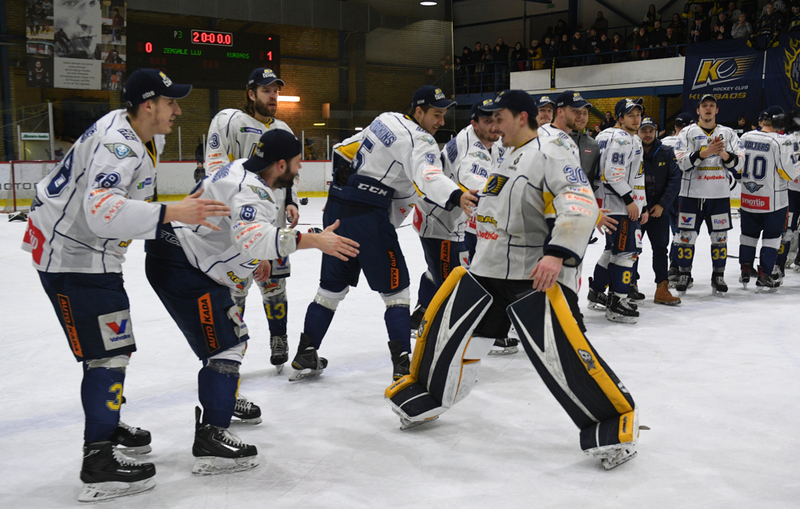 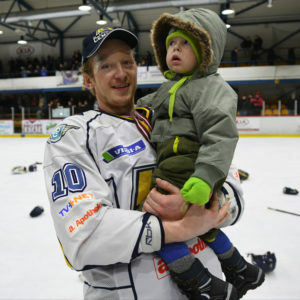 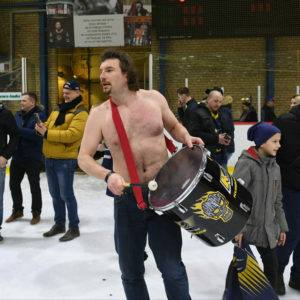 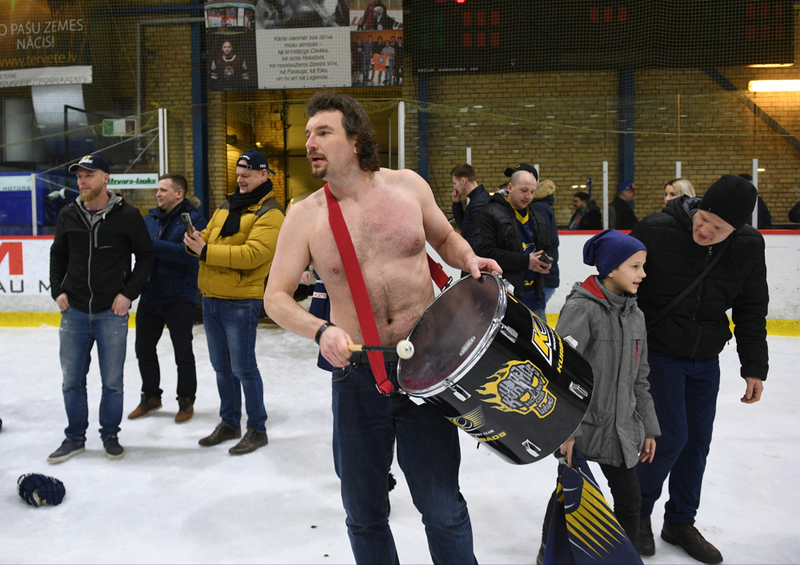 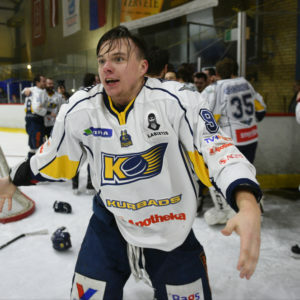 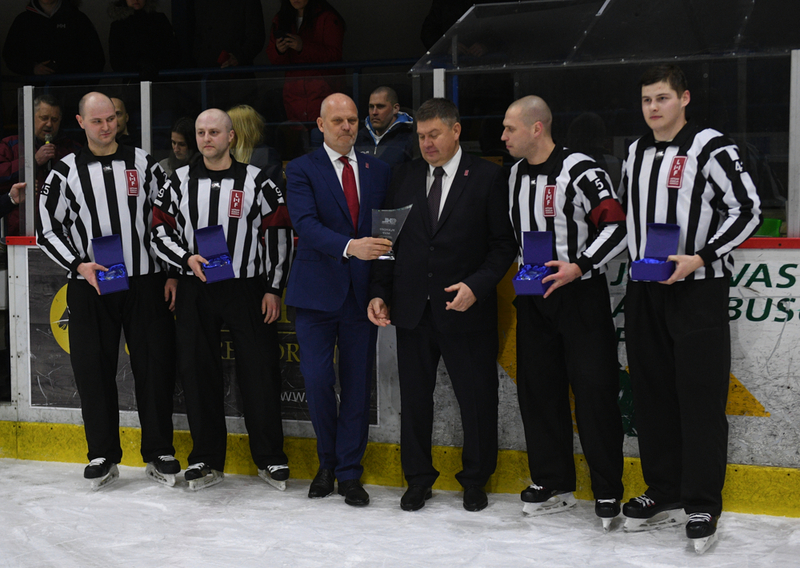 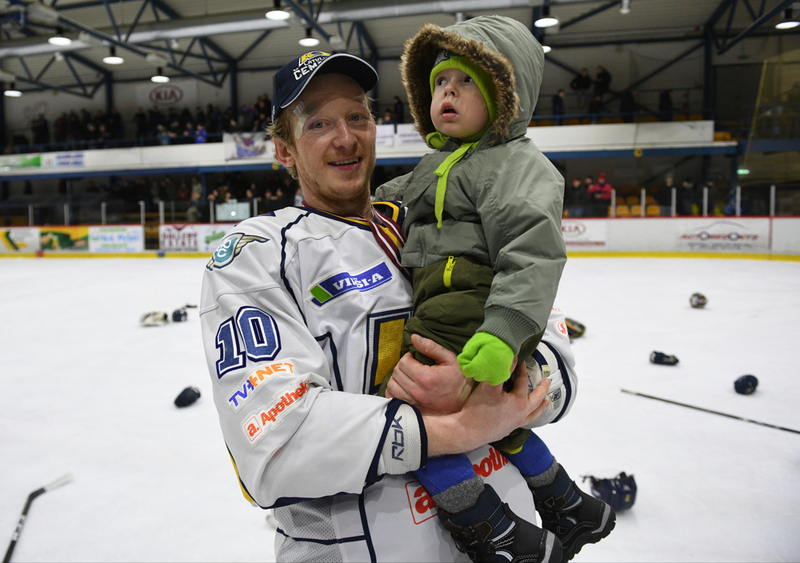 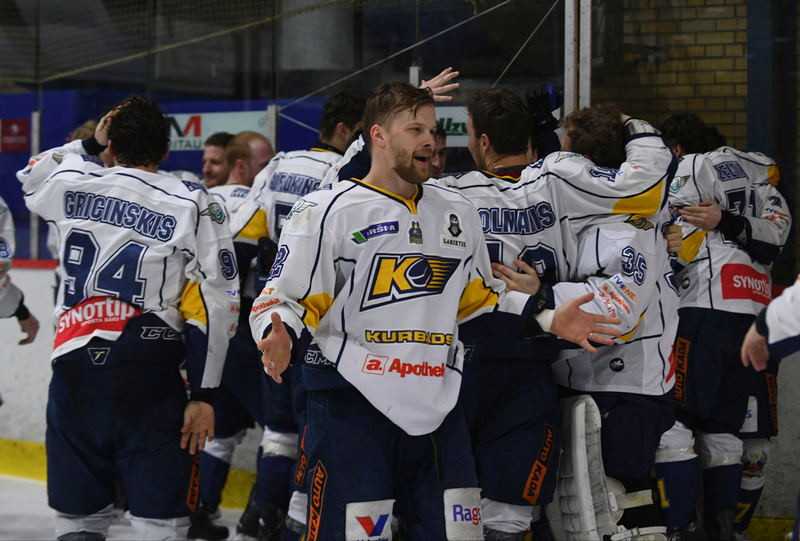 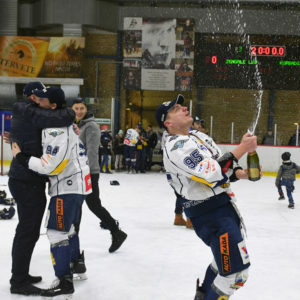 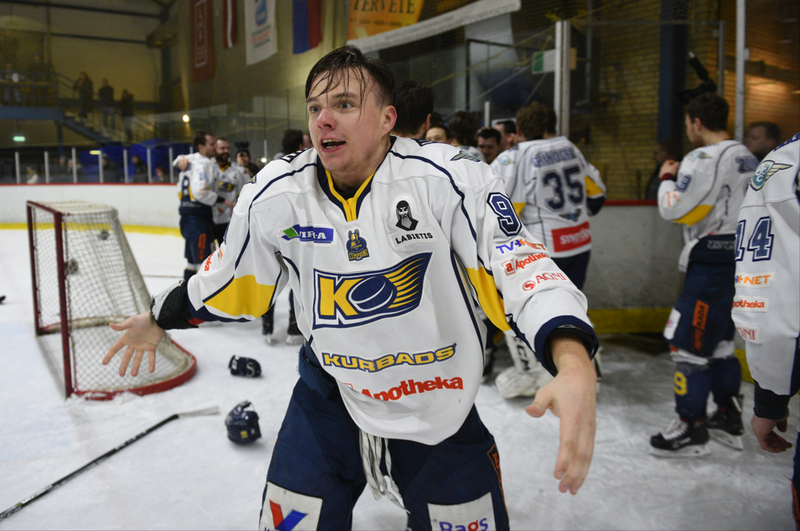 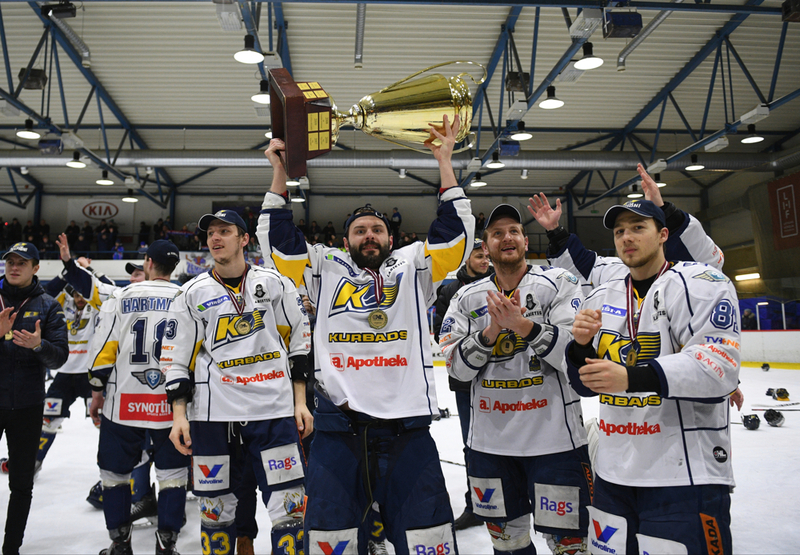 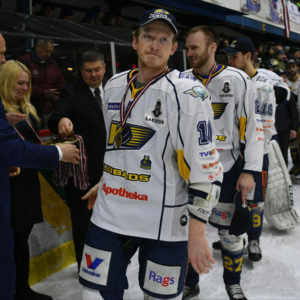 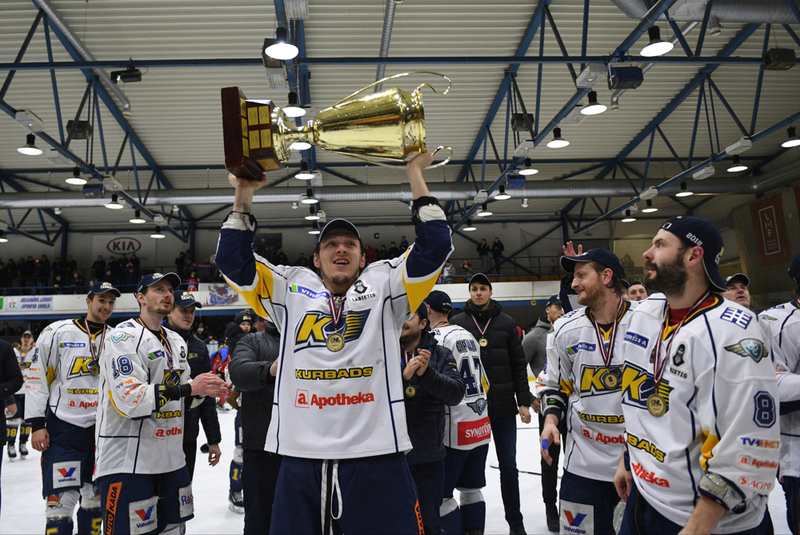 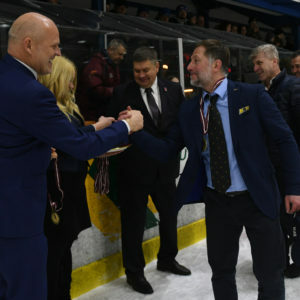 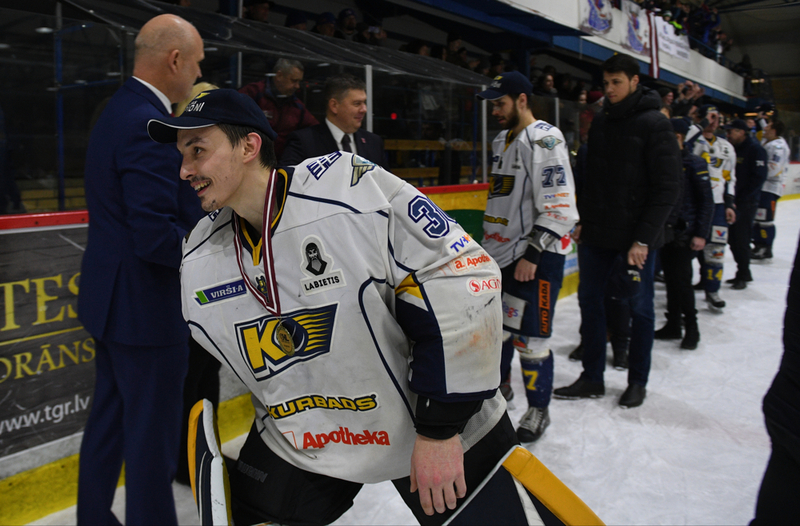 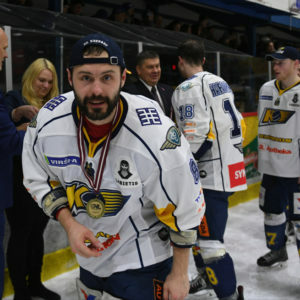 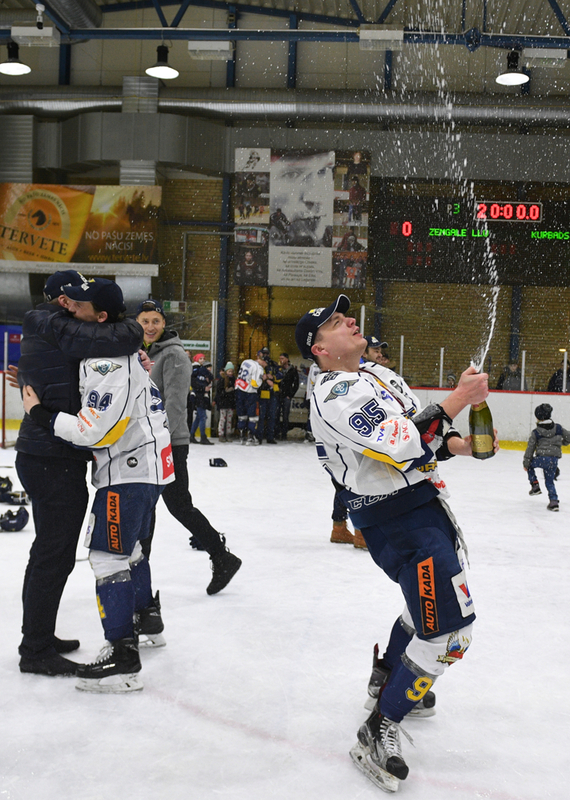 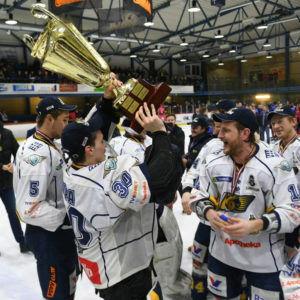 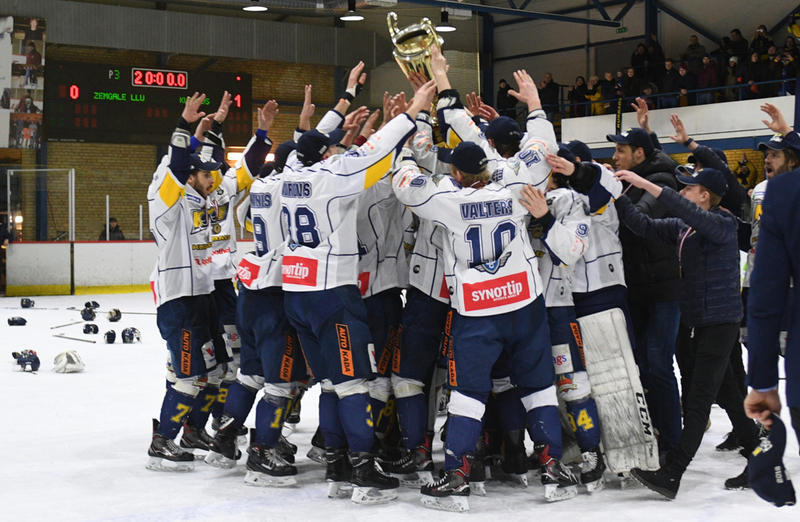 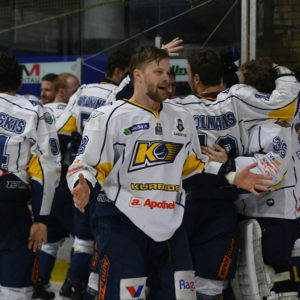 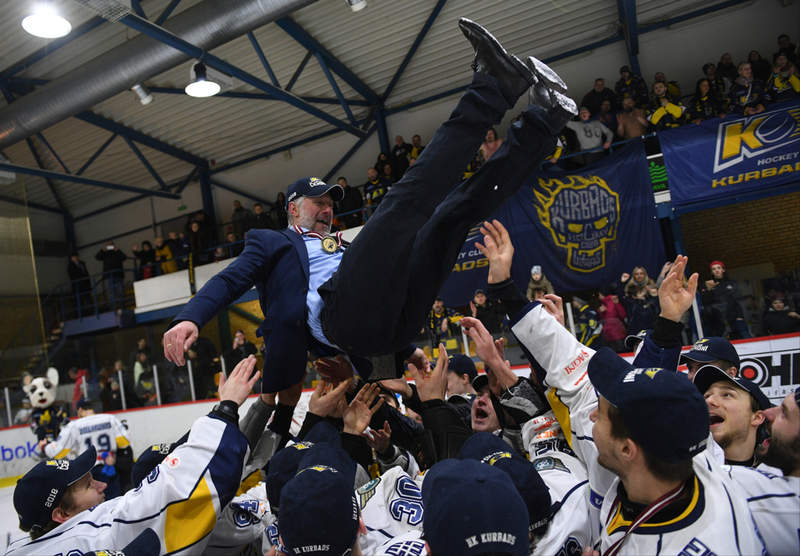 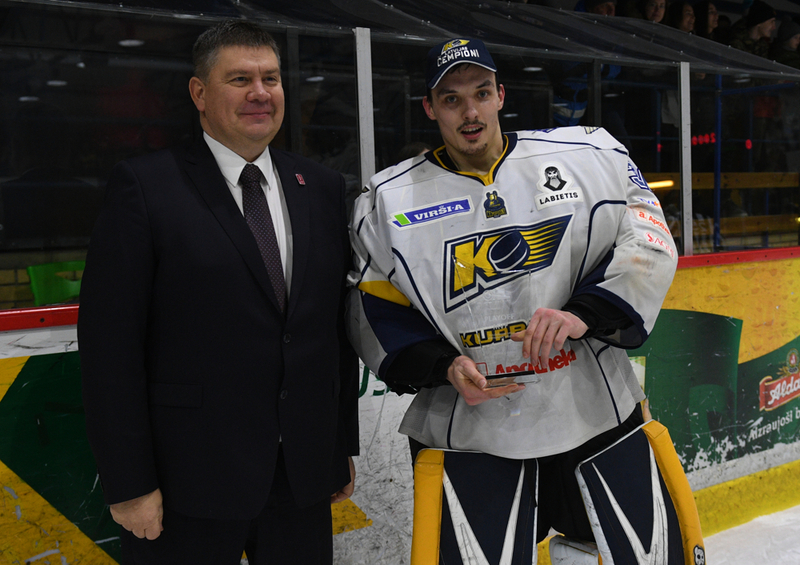 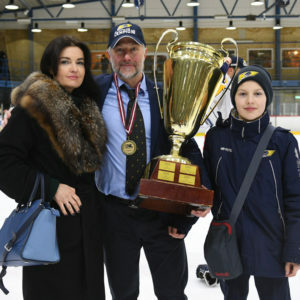 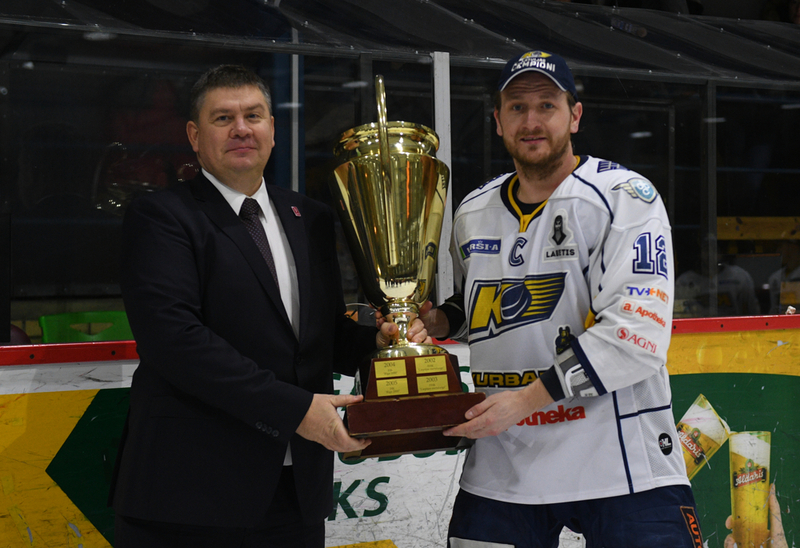 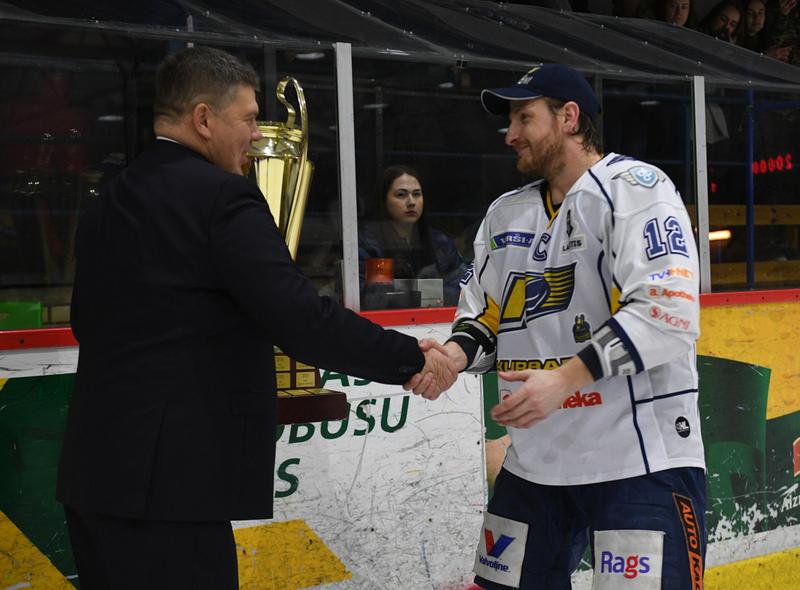 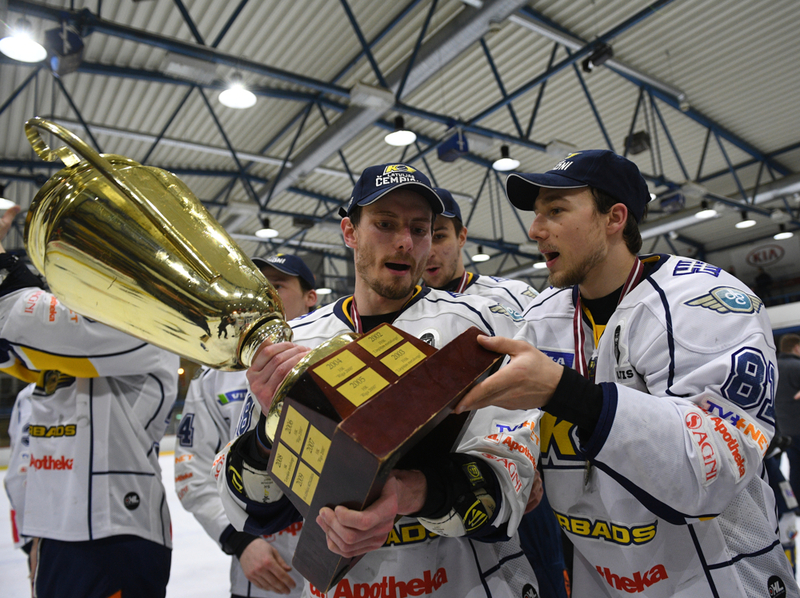 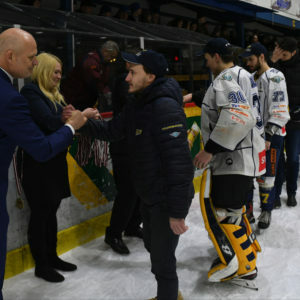 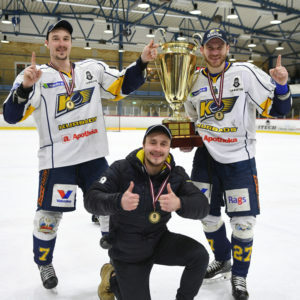 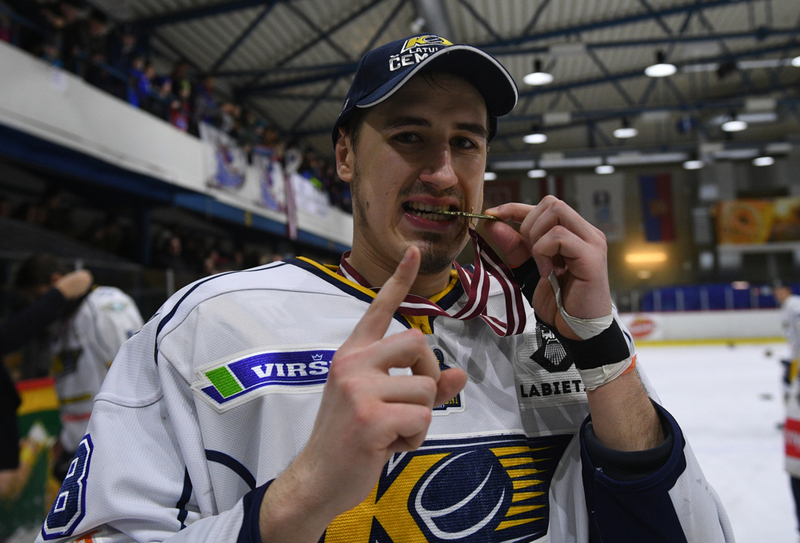 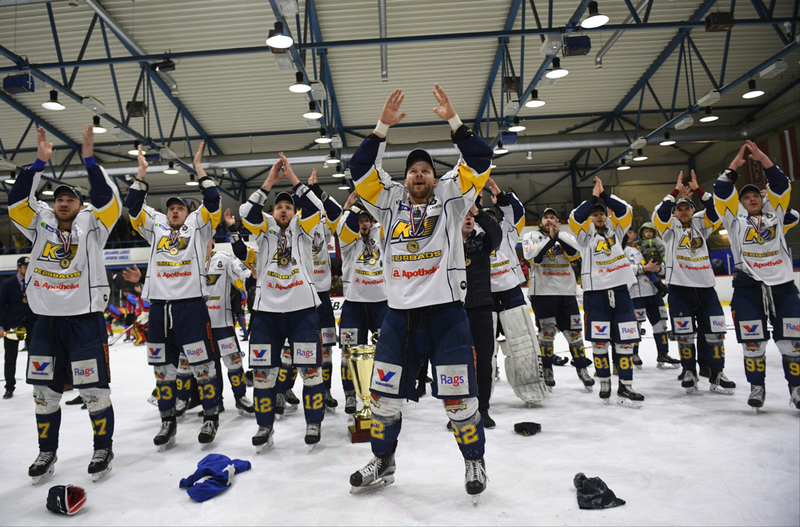 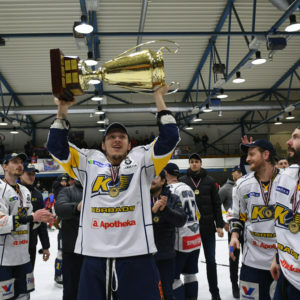 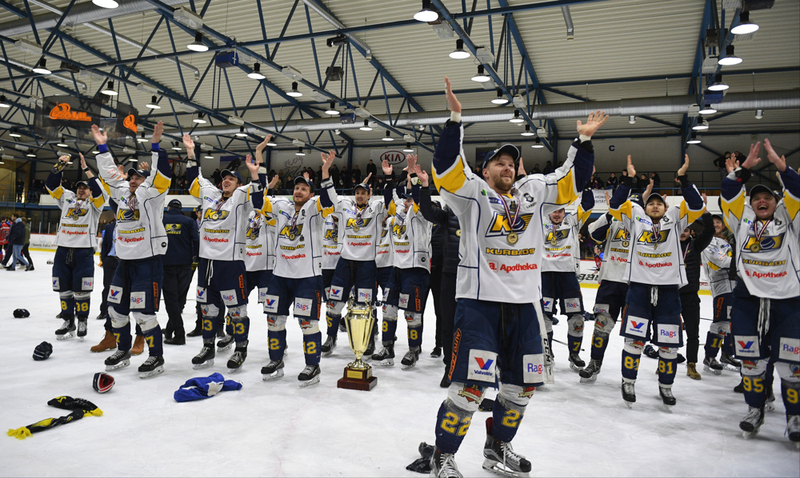 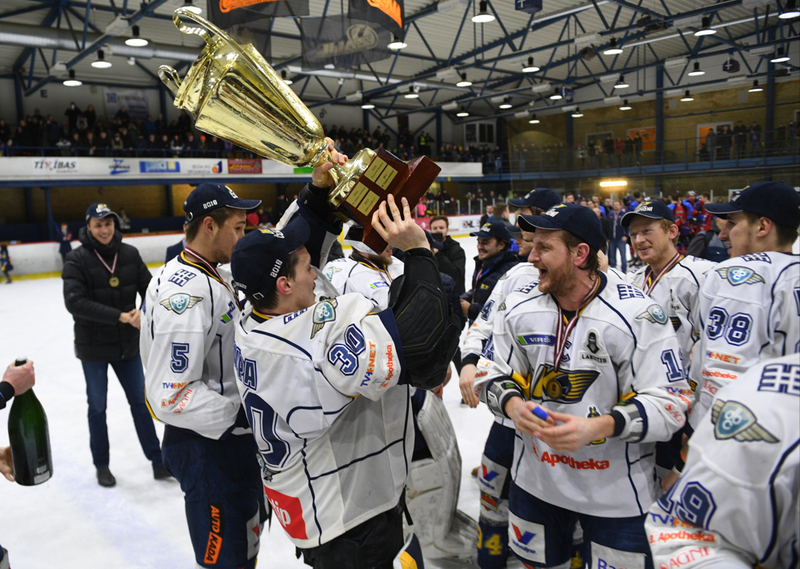 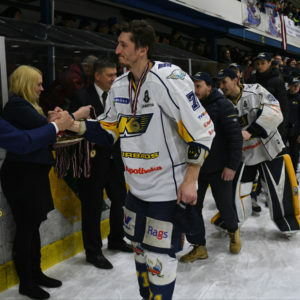 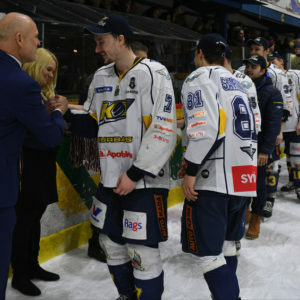 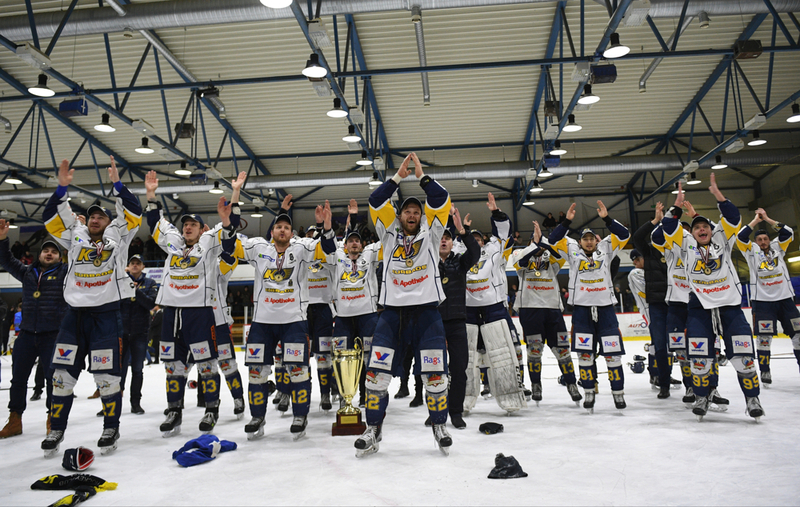 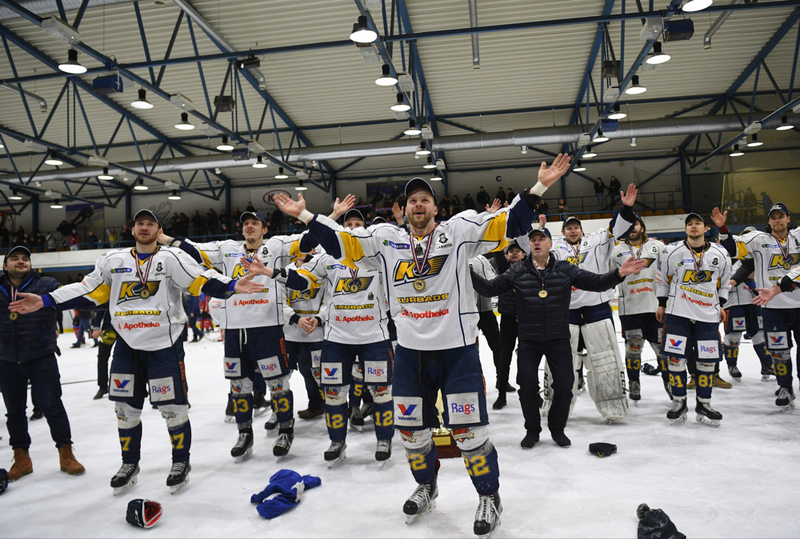 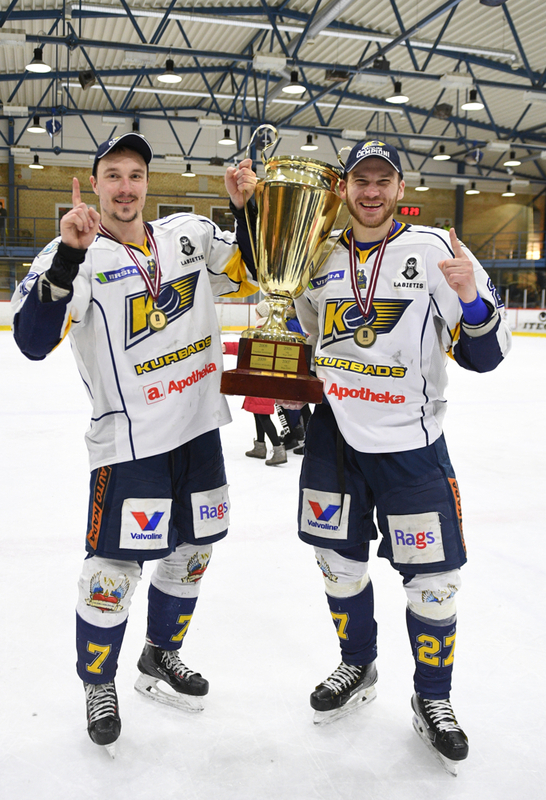 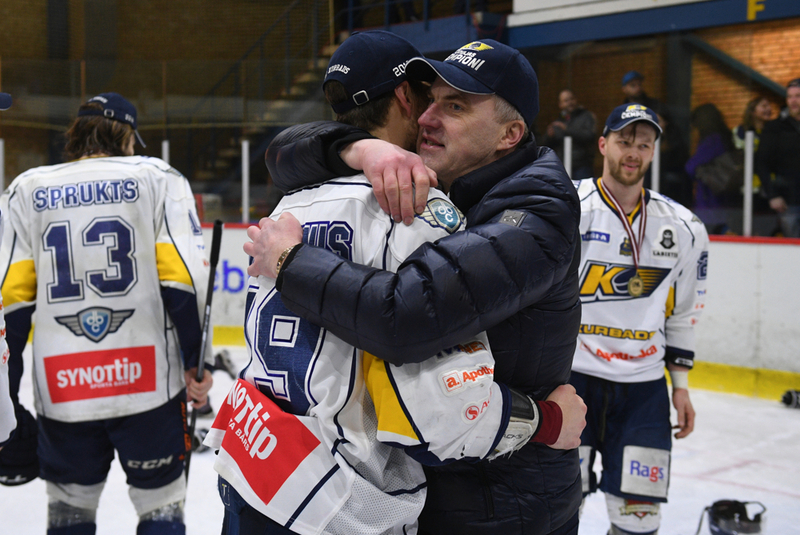 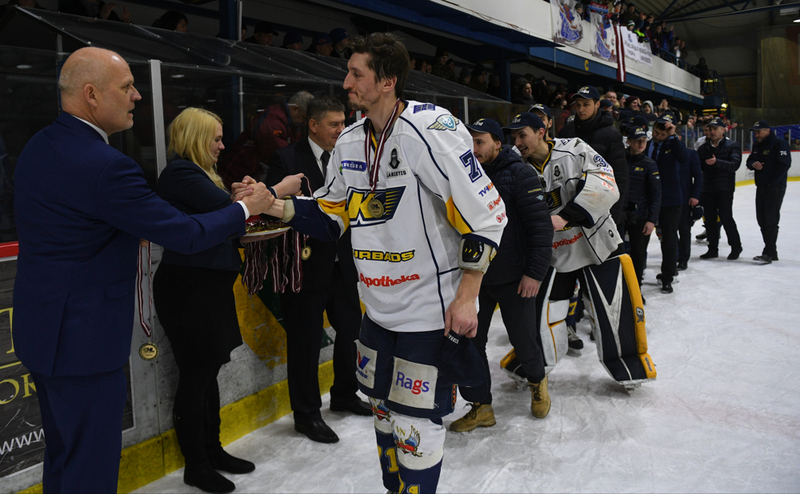 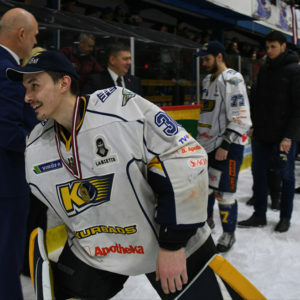 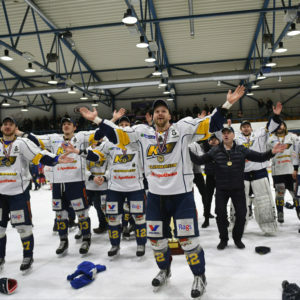 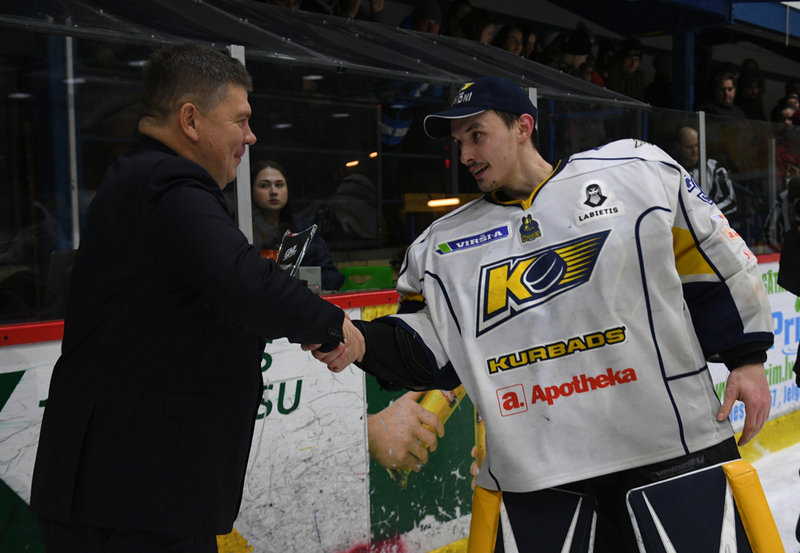 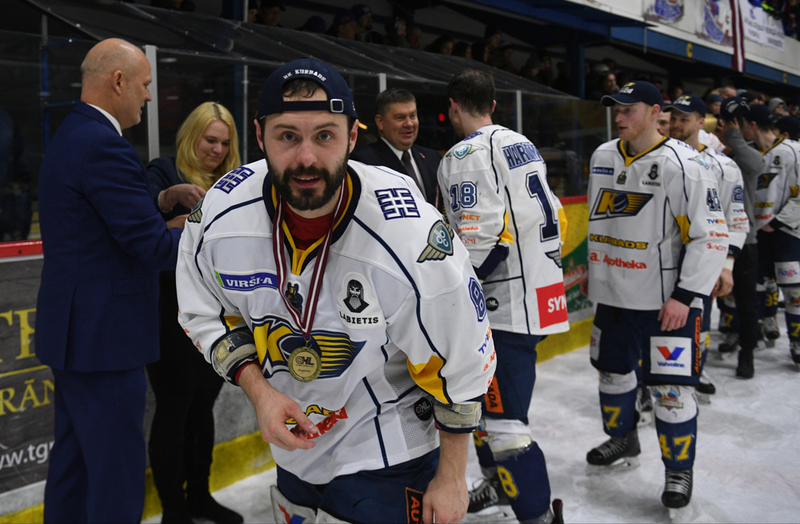 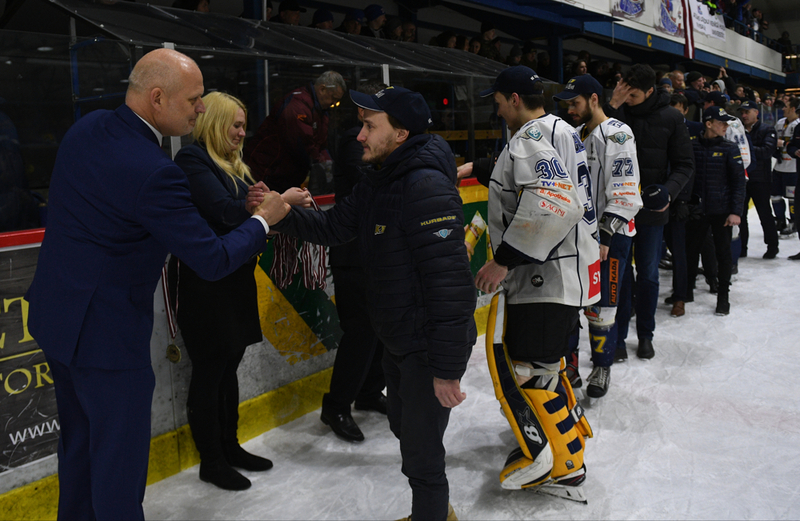 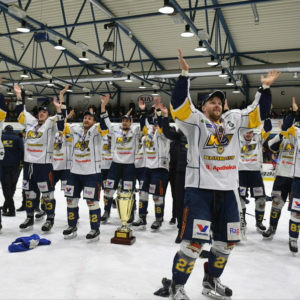 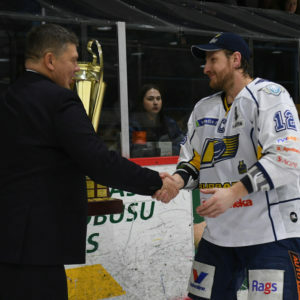 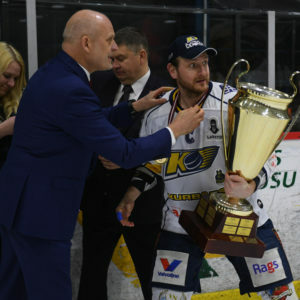 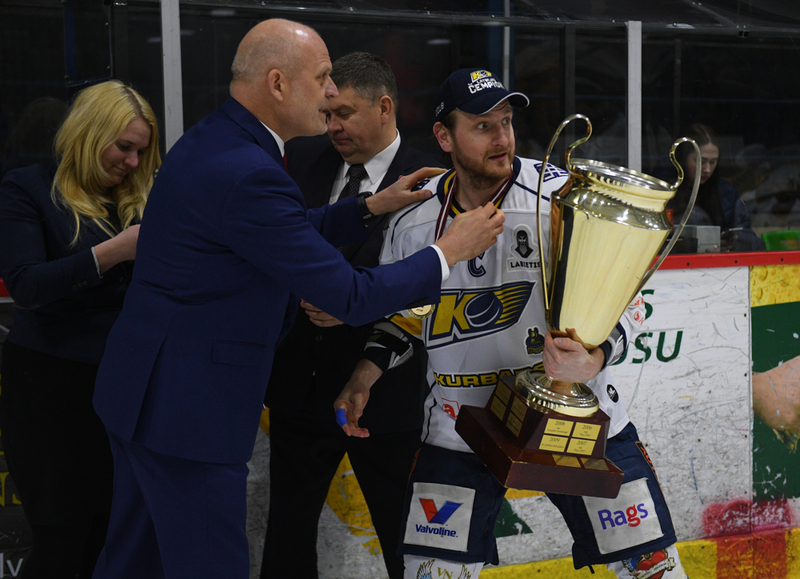 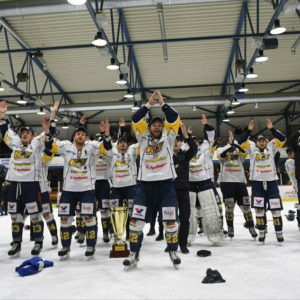 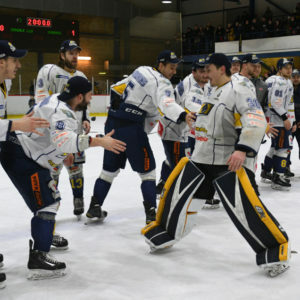 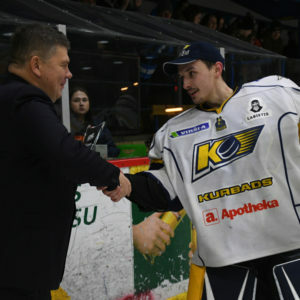 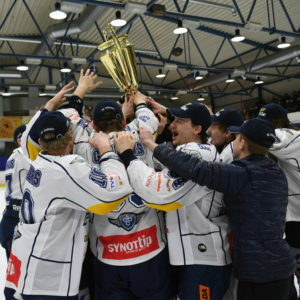 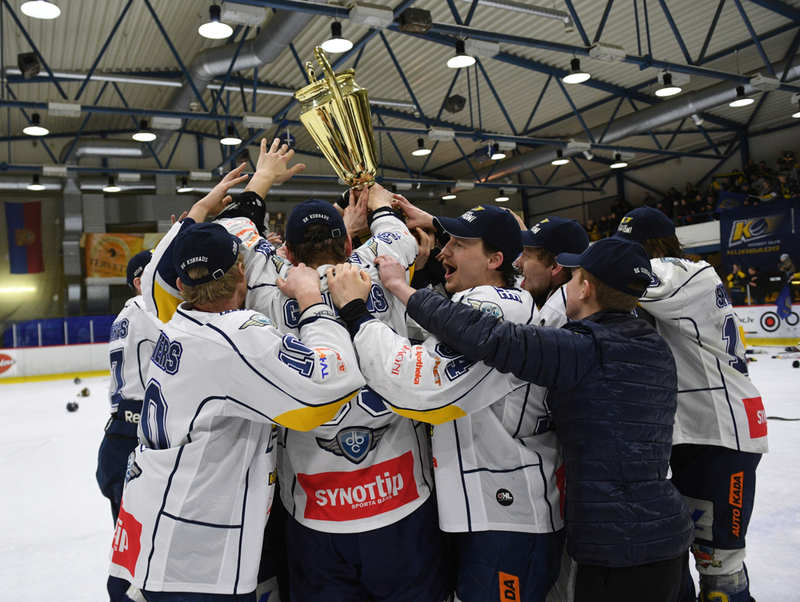 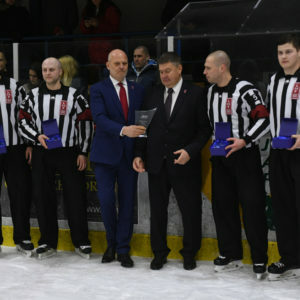 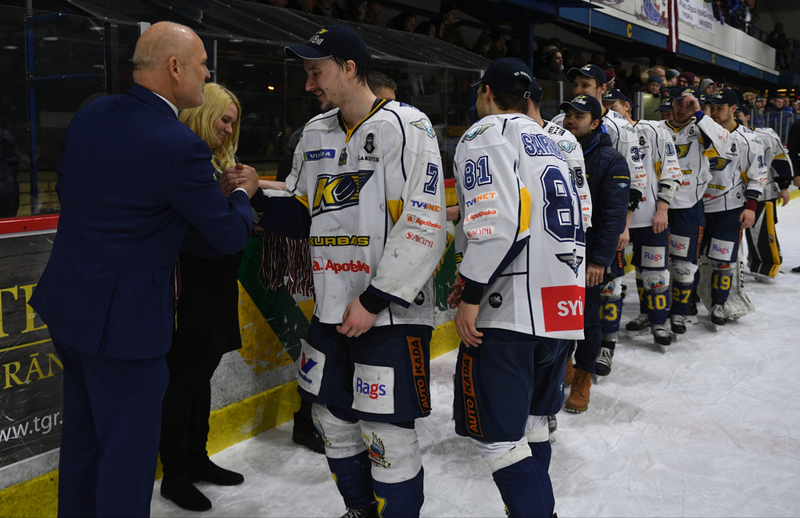 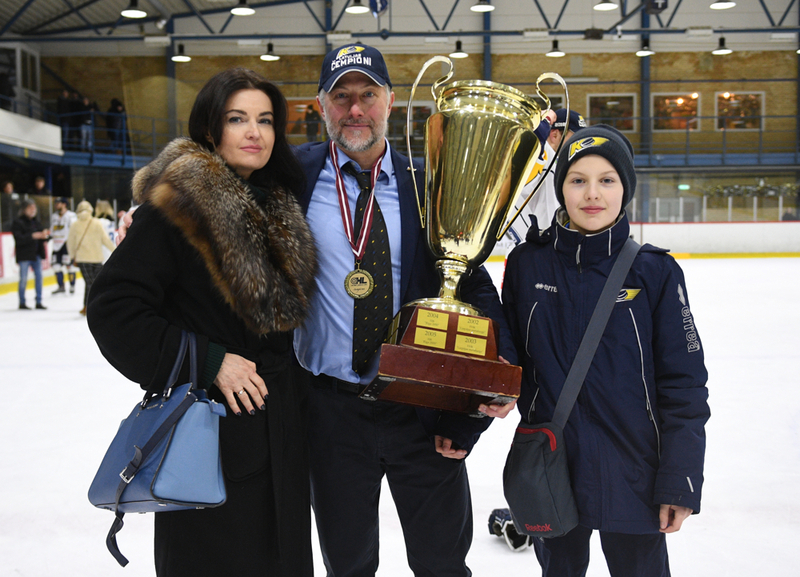 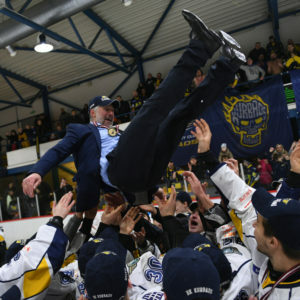 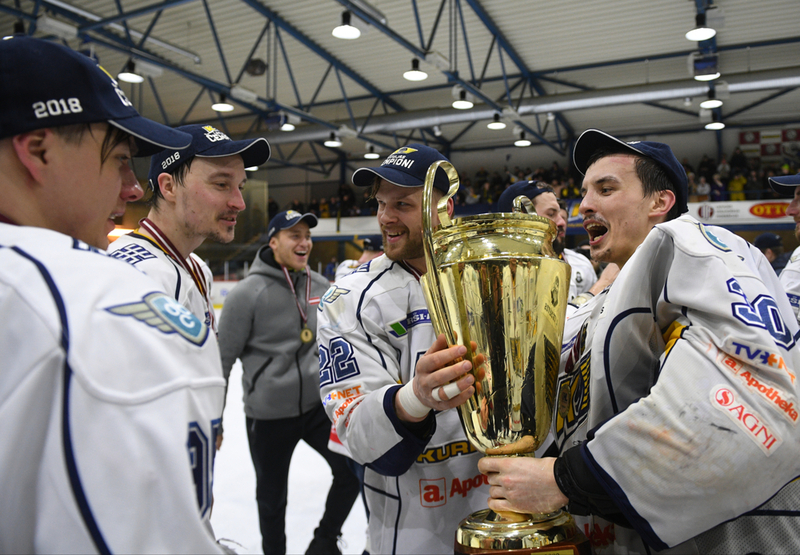 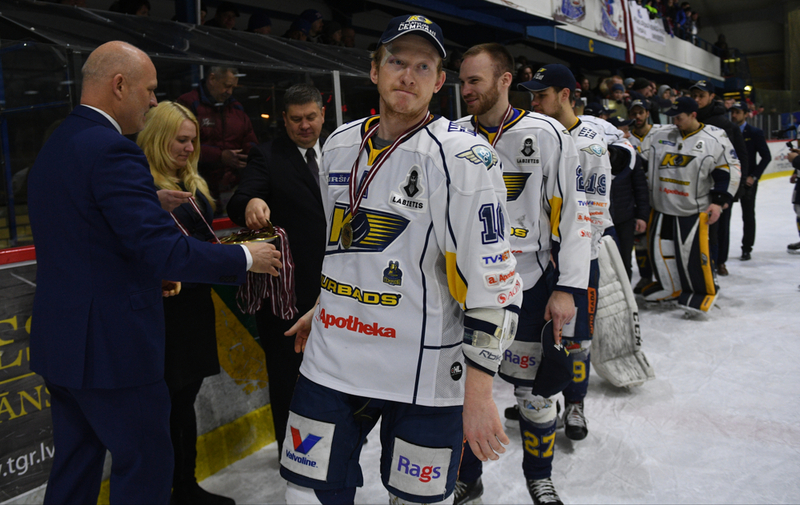 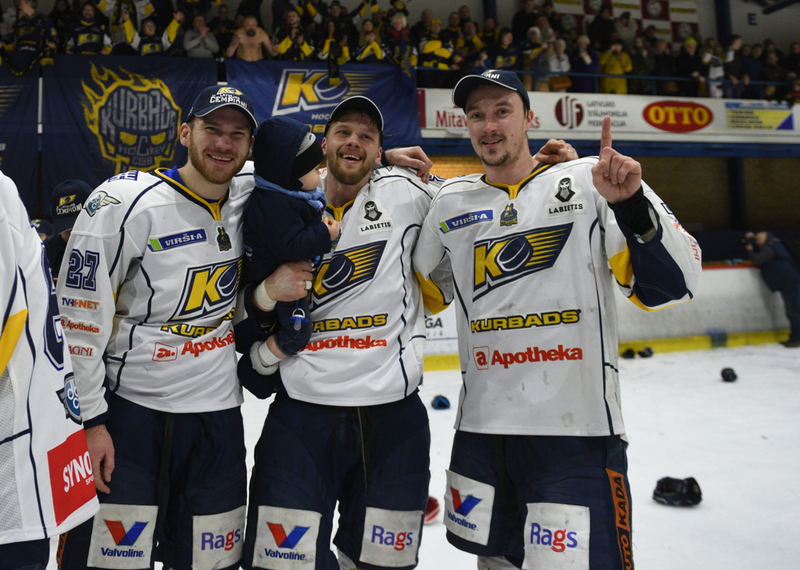 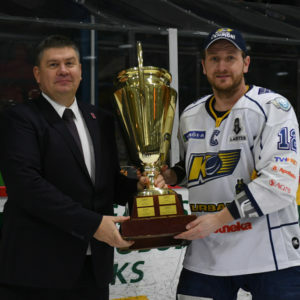 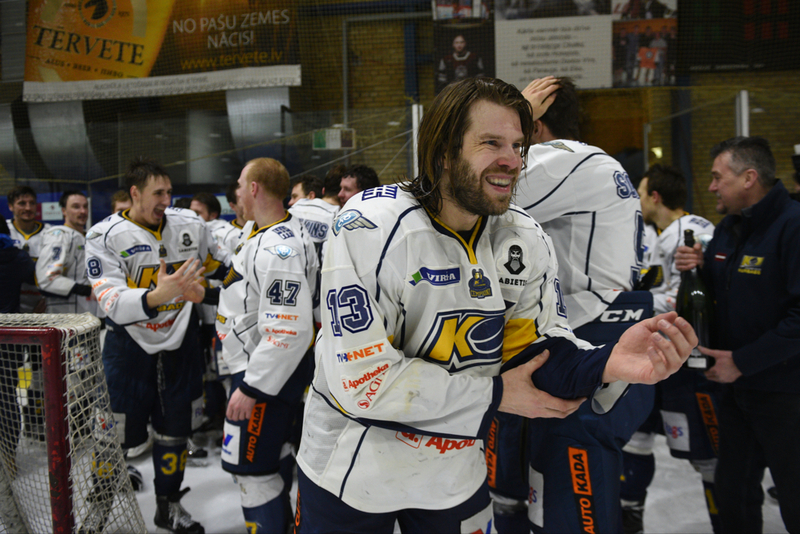 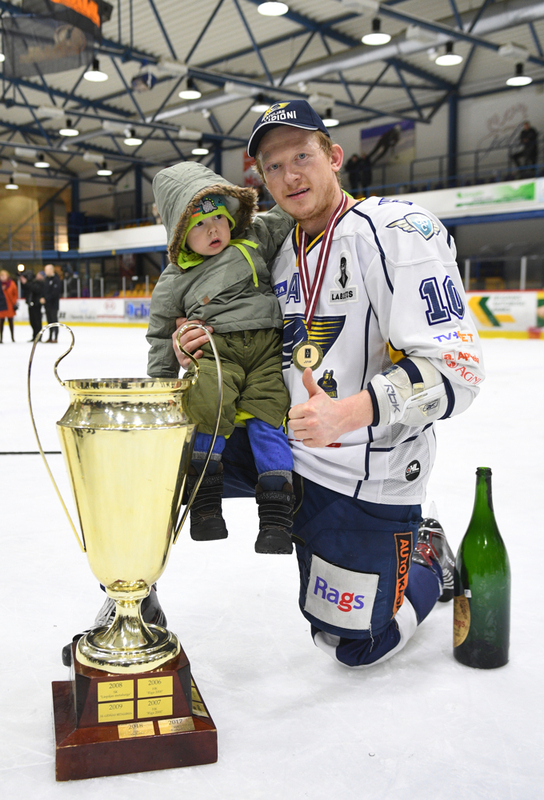 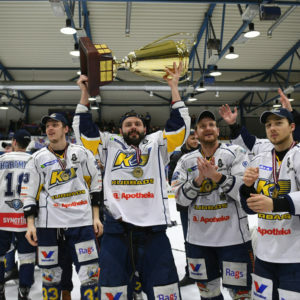 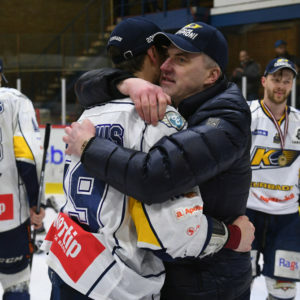 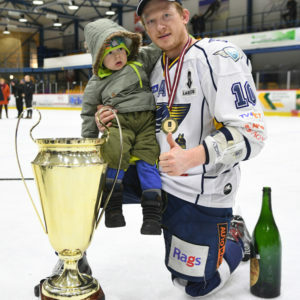 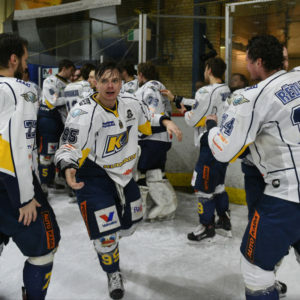 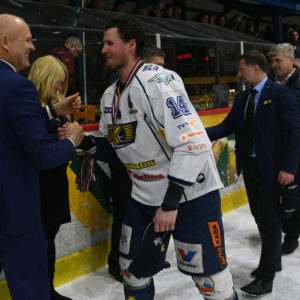 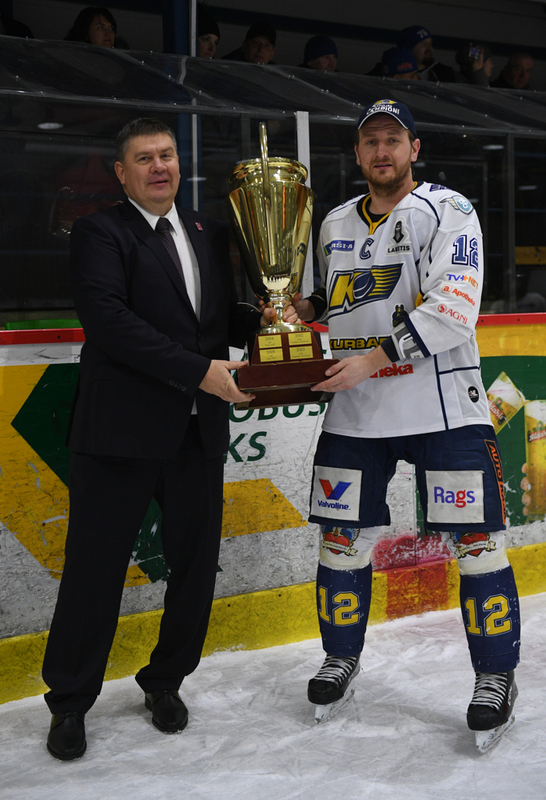 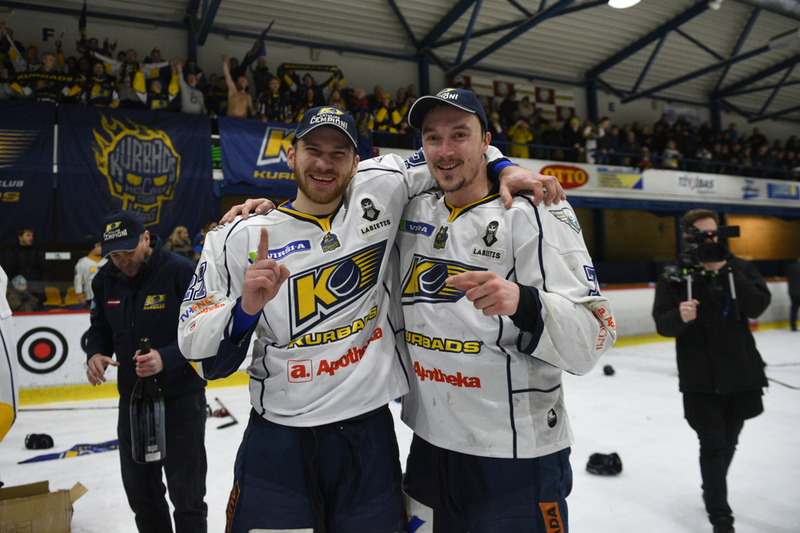 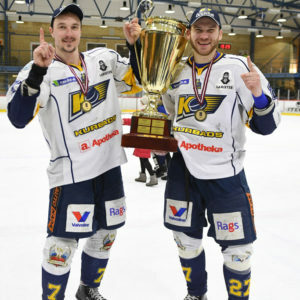 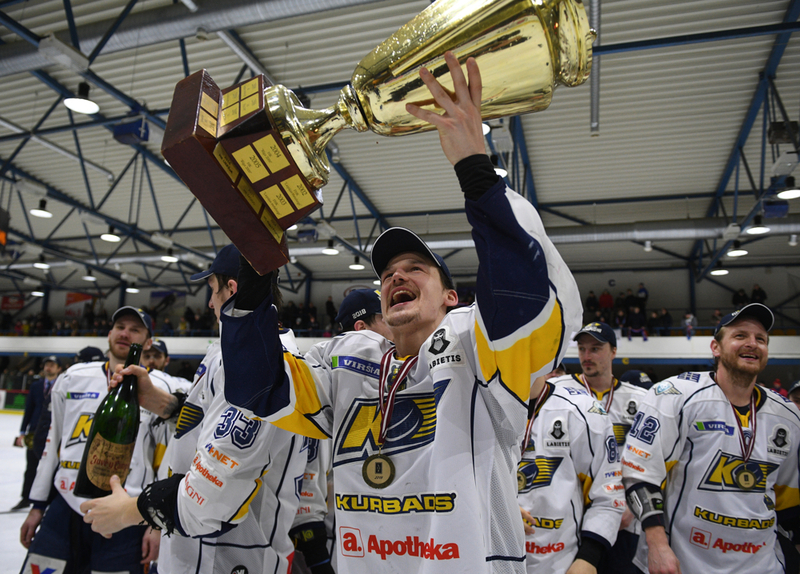 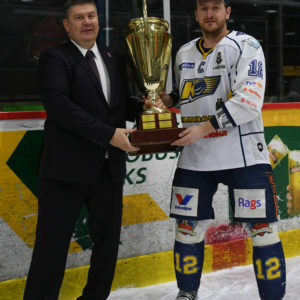 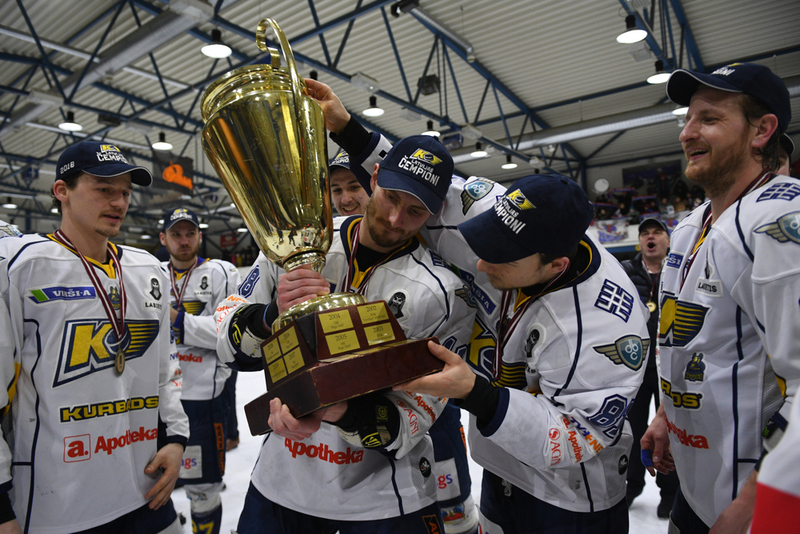 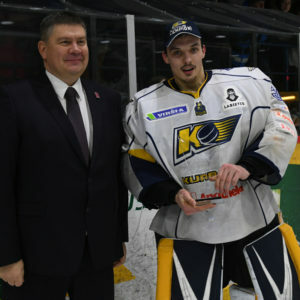 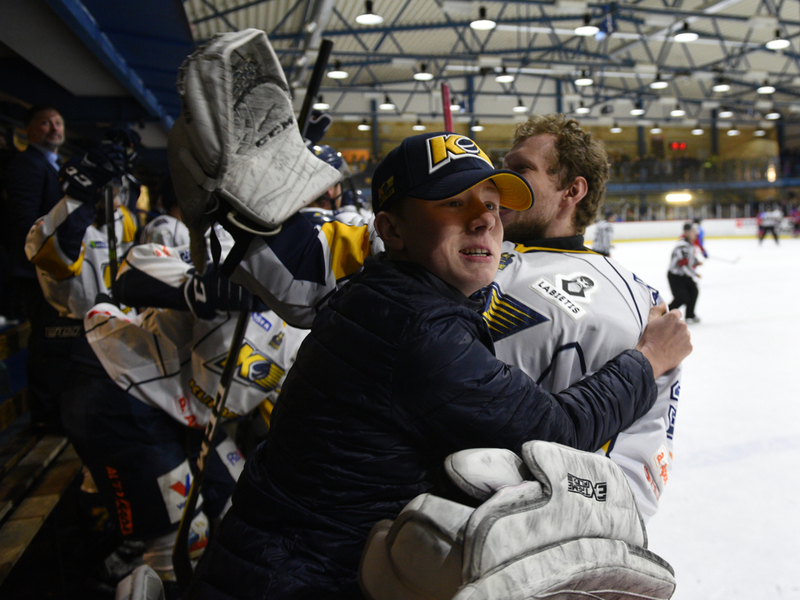 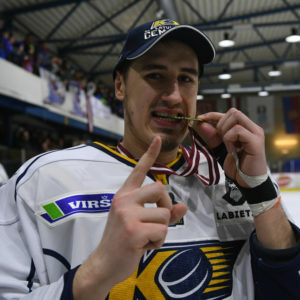 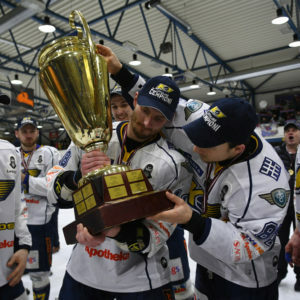 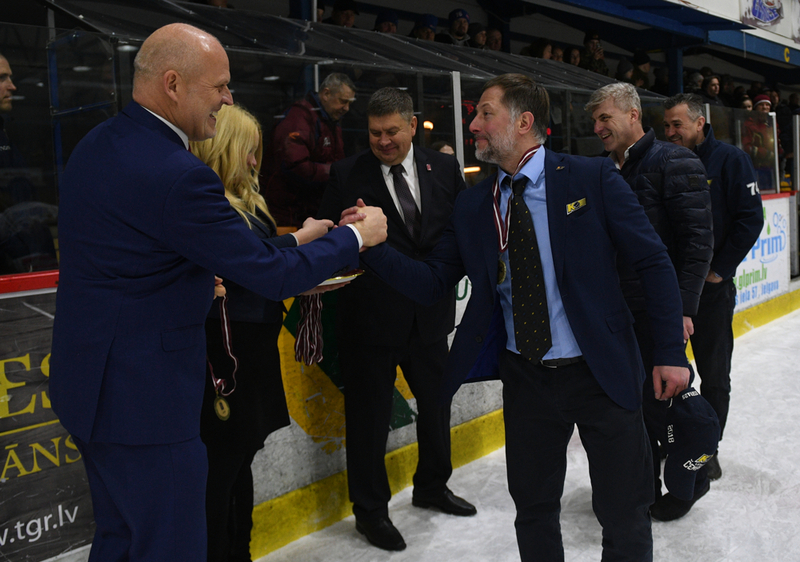 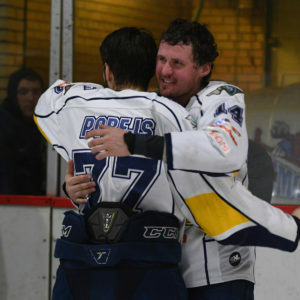 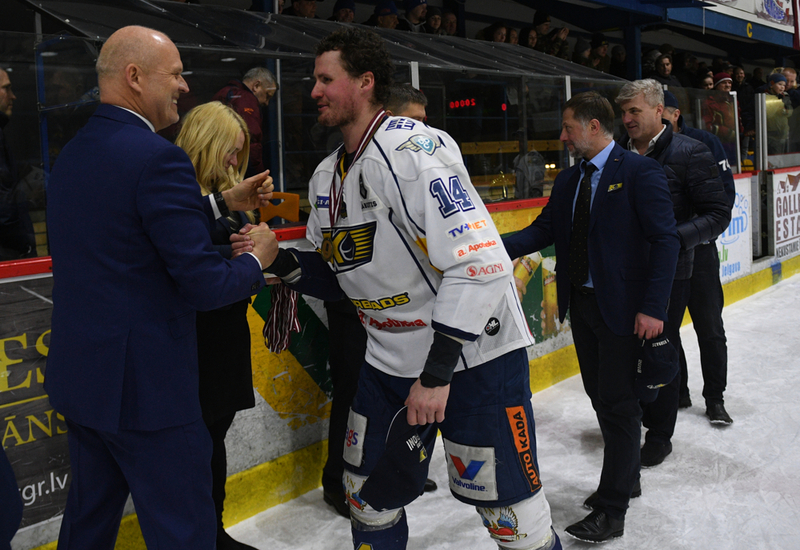 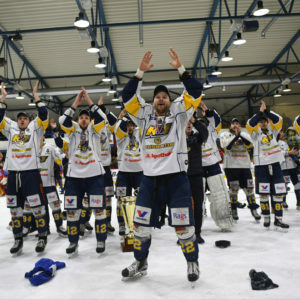 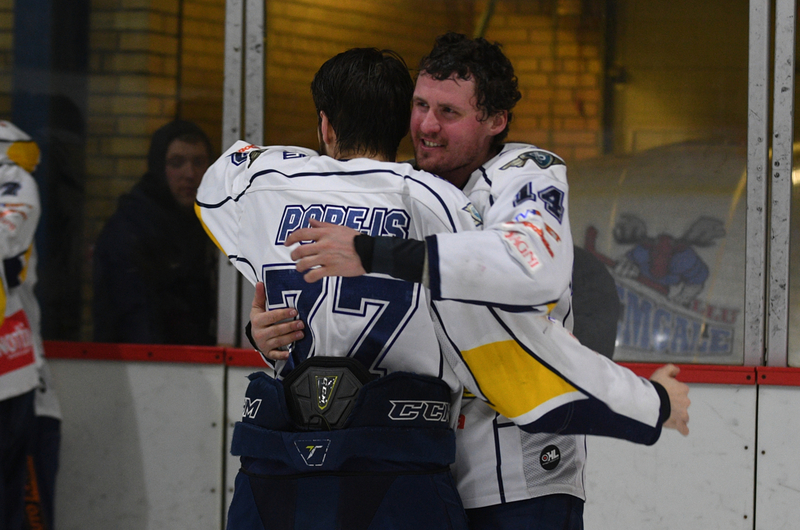 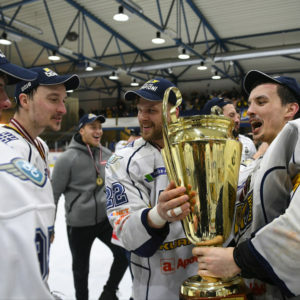 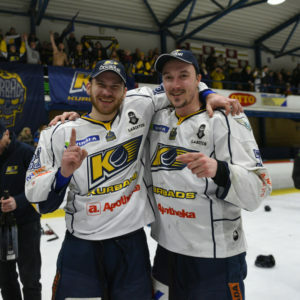 Gatis Gricinskis had the game winning goal, while perfect in the net was our goalie Uldis Čalpa, who became the MVP of the Playoffs. 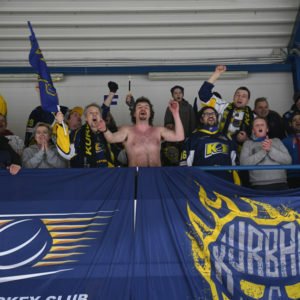 Home team started the game very aggressively, but Kurbads defense was in a good shape. 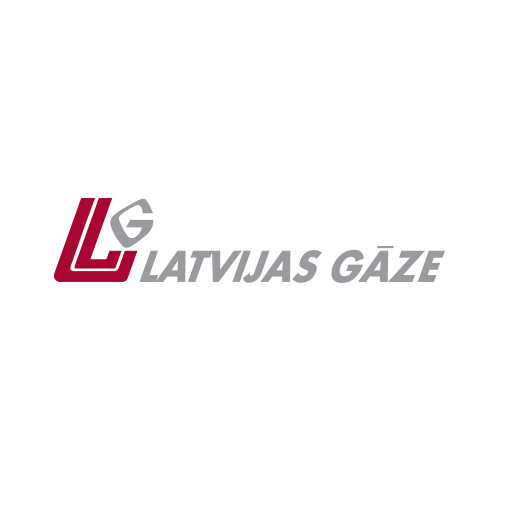 At the beginning of the second period Gatis Gricinskis scored. 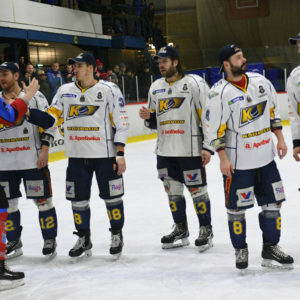 The game went on with battles all around the ice, but no more goals followed. 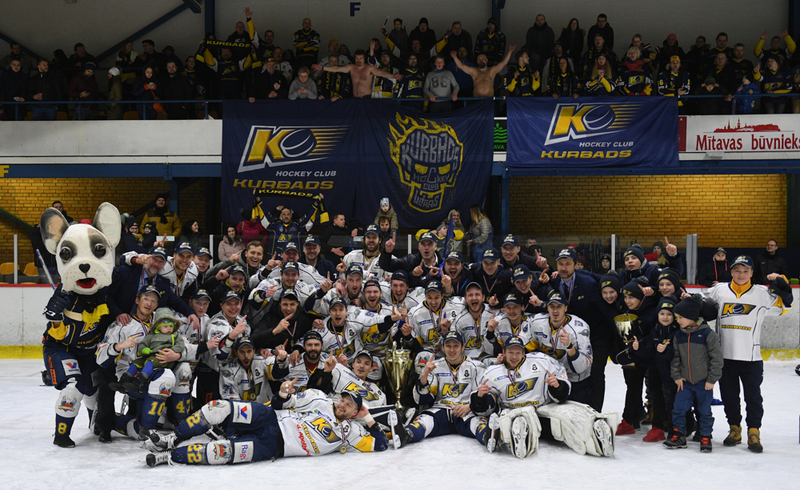 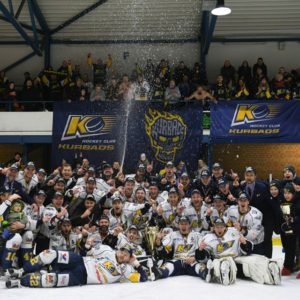 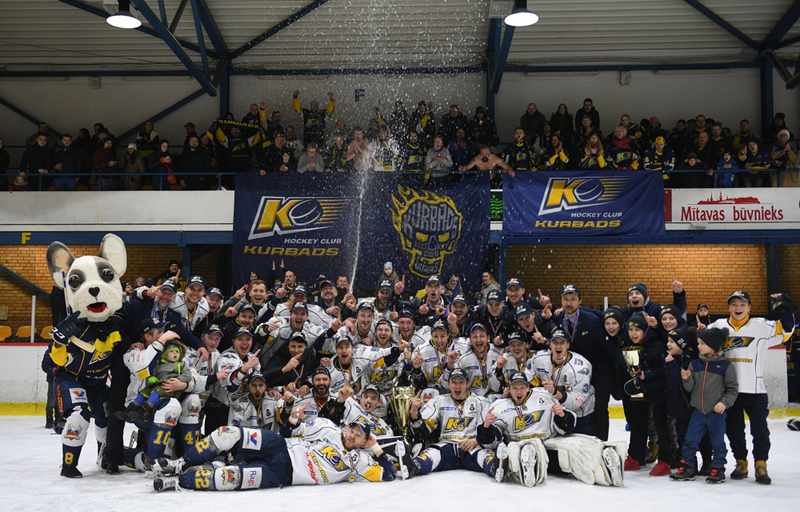 Kurbads wins 1:0 and clinch the title! 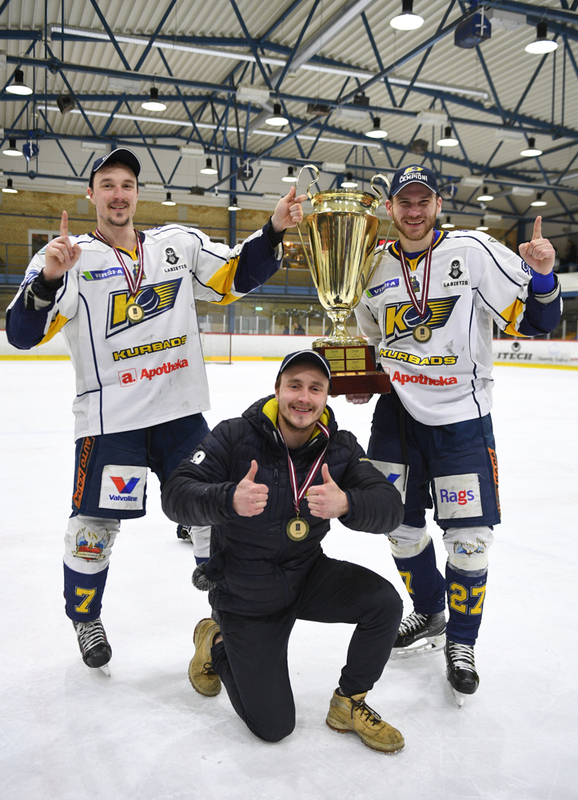 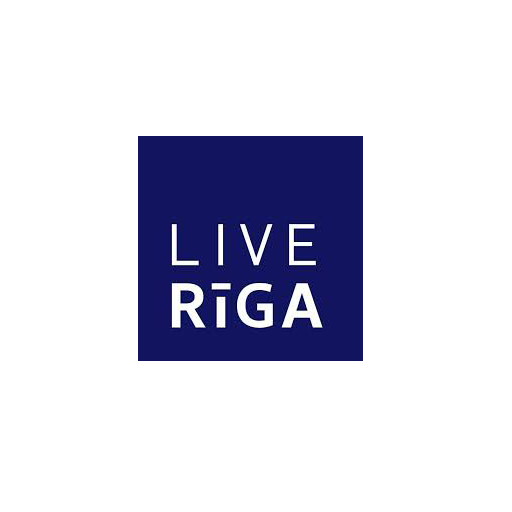 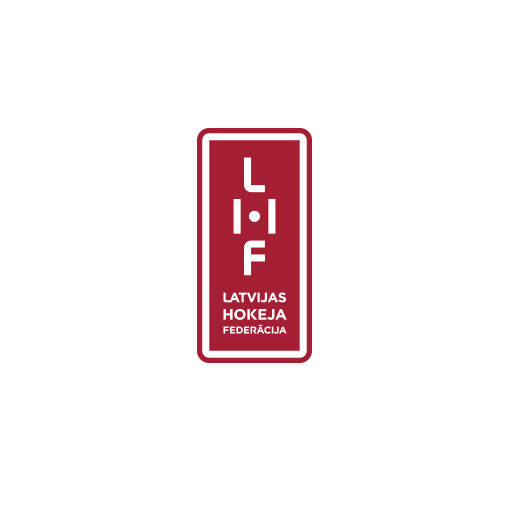 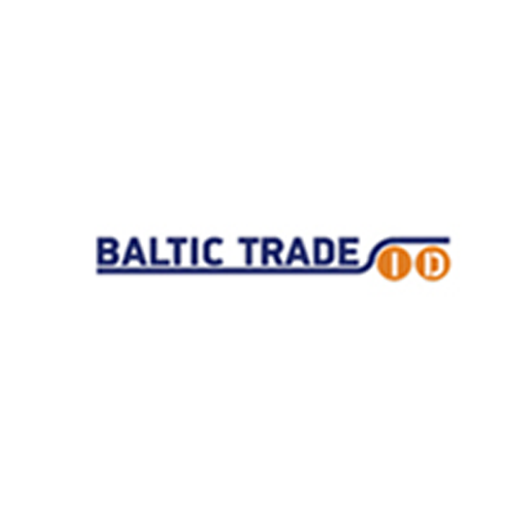 Kurbads is now two times Latvian champion!